What's your car built for? Choosing a clutch kit can be difficult, especially when you have an highly modified vehicle. Sometimes it is best to decide what the primary use of your vehicle is going to be. Each clutch will drive differently and is designed to achieve different goals. So to start with, tell us where you intend to use your vehicle. Find your nearest distributor today..! We are dedicated to finding you the ultimate clutch solution for your vehicle and performance goals. 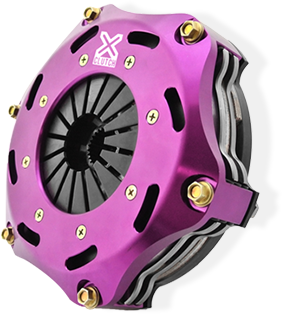 XClutch was the only choice when it came to holding the massive torque generated by our ROH 86 Project Car (Australia's fastest road legal WTAC 86) with 300rwkW, we needed a clutch to hold the torque on track, but also friendly under foot for daily driving. The technical knowledge and service I received from the team at Australian Clutch was outstanding. They assessed my needs and recommended the perfect XClutch triple plate clutch combination for my 400kw Sports Sedan. My car is very driveable through the pits and performs perfectly on track! © 2019 XClutch USA. All Rights Reserved.